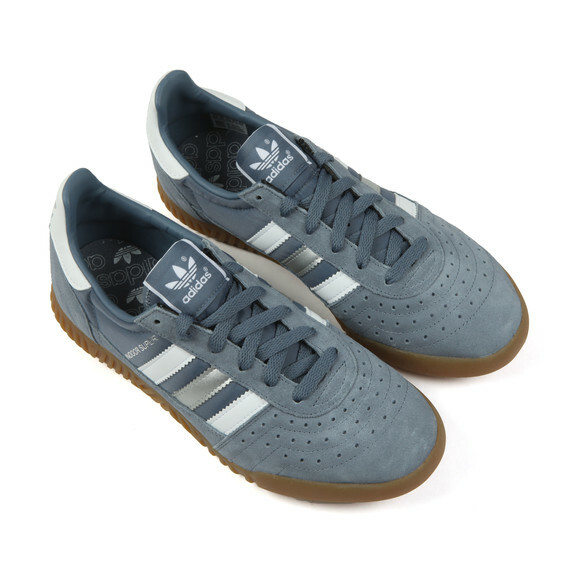 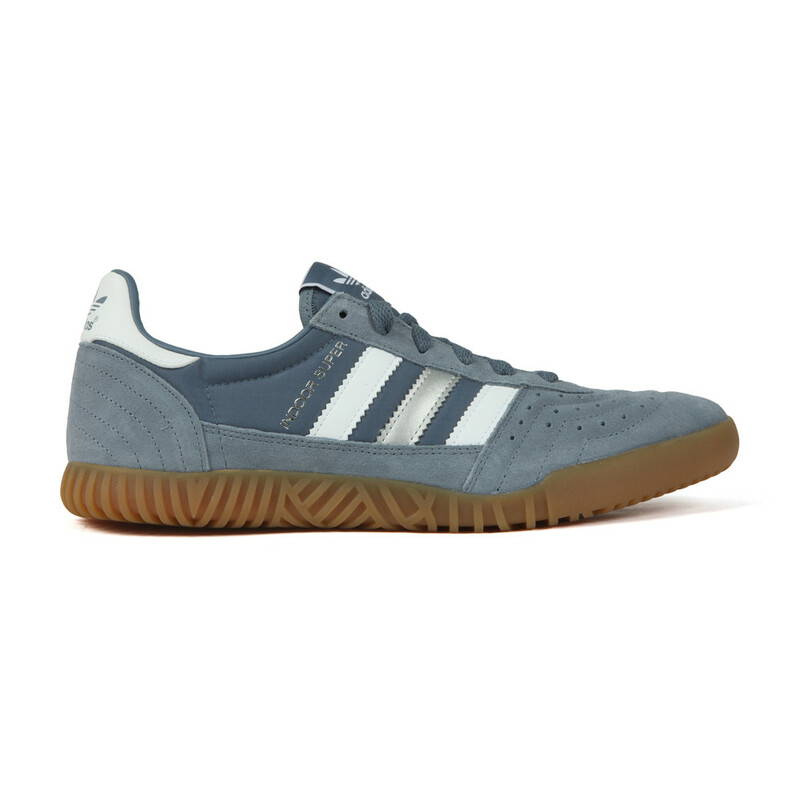 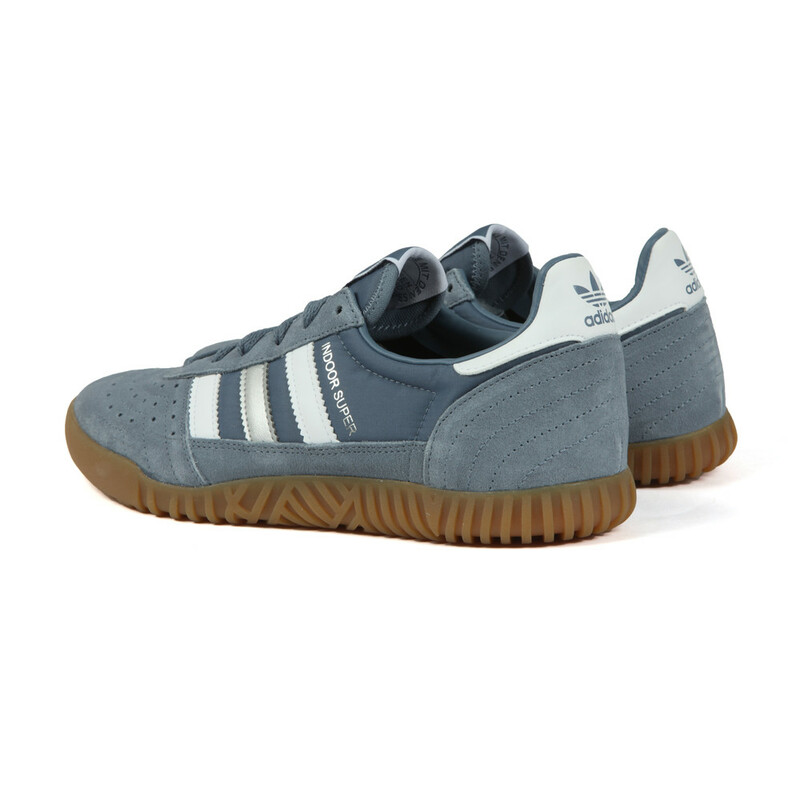 adidas Originals Indoor Super Trainer in Raw Steel Gum. 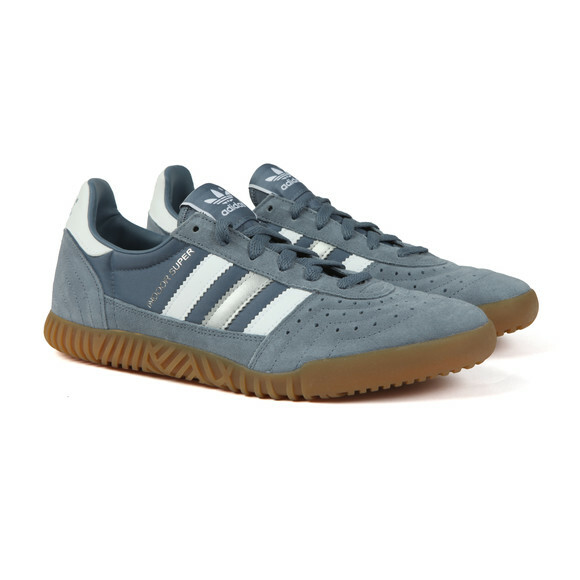 adidas's original squash trainer is now a must-have for collectors and street-wear fanatics alike. 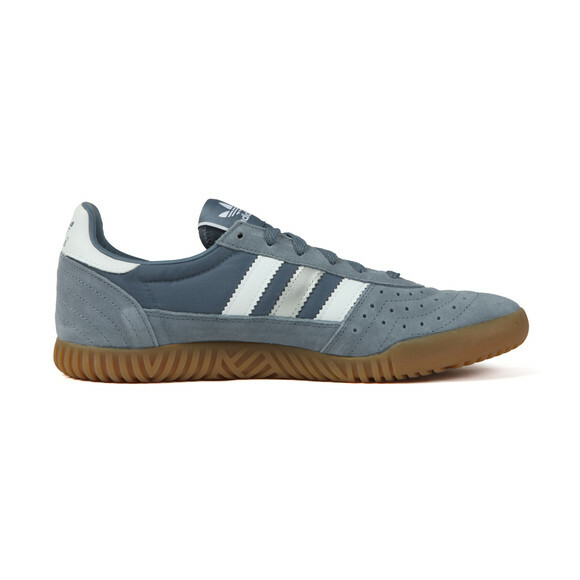 Designed with an original gum sole that is thicker and grippier than your average sole and a perforated toe piece for extra ventilation. 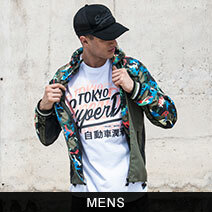 The upper is a mix of suede and nylon, giving a sporty look whilst not losing a street style. Finished with a tongue logo, three stripe side design and sidewall foil branding.